With the Spring Sephora sale coming up, I wanted to share an honest review of one of my favourite things! I bought two silk pillowcases at Christmas for my boyfriend and I to use and we absolutely love them. They note only feel nice, but they have some incredible benefits that I have been noticing. When you research about silk pillowcases there are mixed reviews, but I honestly share my options and how much I love them! I think most of us can agree we make up with frizzy bedhead caused by friction on cotton pillowcases, but with silk, there is less friction! In laboratory testing slipsilk™ was shown to create 43% less friction, on average, versus cotton pillowcases* which is good news for beauty sleep. The world’s most renowned hairstylists have long recommended sleeping on gentle, hair-friendly silk to help preserve your blow out. This is where I have seen a major change for myself. I had never heard anyone talk about their hair being less greasy after sleeping with a silk pillowcase but after 3 months of using mine, I can definitely say it extends my wash even longer! Once upon a time I washed my hair every day, then cut it down to every other. I can now extend this an extra 1 or 2 days! Now on those extra days, I often add a little dry shampoo, but that is still amazing! Also, when I curl my hair, I find my curls last a bit better because they are less frizzy! Sleeping on a silk pillowcase is also known to be Anti Aging, and also Anti Sleep Crease! We spend a lot of our lives sleeping, so not only is that a lot of pressure on your face and skin if you sleep on your side or stomach, but also, your pillow is stealing your face creams! In laboratory testing slipsilk™ was shown to absorb significantly less face cream and create 43% less friction, on average, versus cotton pillowcases*, helping your face glide along the pillowcase all night long. All this adds up to good news for beauty sleep. Sleeping on silk is a great expert beauty tip and a long-time beauty secret. In laboratory tests, slipsilk™ was shown to reduce friction or 'drag' on delicate skin by 43% on average, versus cotton pillowcases* resulting in a smooth, luxurious surface that helps skin to glide along the pillow. Another major change I have seen from sleeping on a silk pillowcase over the last 3 months, and again I did not see much mentioned about before purchasing is that my skin has been so clear! I used to have break outs more frequently, and since sleeping one my silk pillowcase, I maybe have one or two little breakouts a month?! 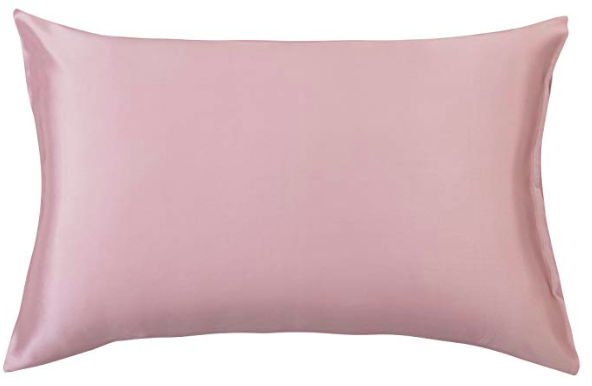 The only thing I have changed in my skin routine (and diet) is sleeping on a silk pillowcase, so I definitely contribute this to my new silky friend!! I am such a huge fan of my silk pillowcase and I think my friends and family will be receiving silk pillowcases for gifts for the next year because that is how much I adore mine! Even if you don't purchase a Slip pillowcase, Amazon has some great options available as well! I have also been sleeping with a silk sleeping mask for at least 6 months and I love this as well! I obviously provides similar benefits to a silk pillowcase, and that makes me feel a lot better about having it around my eyes. 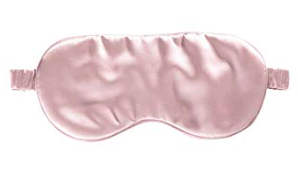 I have the Slip version as well as the Amazon version and I honestly prefer the looser fit of the Amazon one, I don't like a tight feeling around my head that the Slip sleep mask gives. The Amazon version is also slightly larger. I find that it is a really good part of my sleep routine because I have conditioned myself to fall asleep almost immediately after my mask goes on. I think the mask helps my body know that it is time to switch off! There are many different recommendations for washing these pillowcases. I have read that people put them in with their regular laundry, I don't do that, but my method doesn't add much time to bed washing days! I put my silk pillowcases and masks in the laundry machine on the silk setting, with regular laundry detergent. This wash setting uses cold water and a light spin, and does not take much time. I then Put them in the dryer on the air dry mode and they dry in less than 20 minutes. They don't crease or wrinkle if you get them out right away! I really don't think this adds much aggravation to laundry day and extends the life of the cases compared to washing them with your sheets in a regular wash setting. I purchased the "White" colour, and it is a little more off-white than my bedsheets, but I don't think it is that noticeable!